Challenges are all the rage right now, probably because they provide a super engaging experience for potential clients and customers. They’re a fantastic way to show off your expertise and provide real, tangible results, which then leaves your audience begging for your (paid!) next steps. 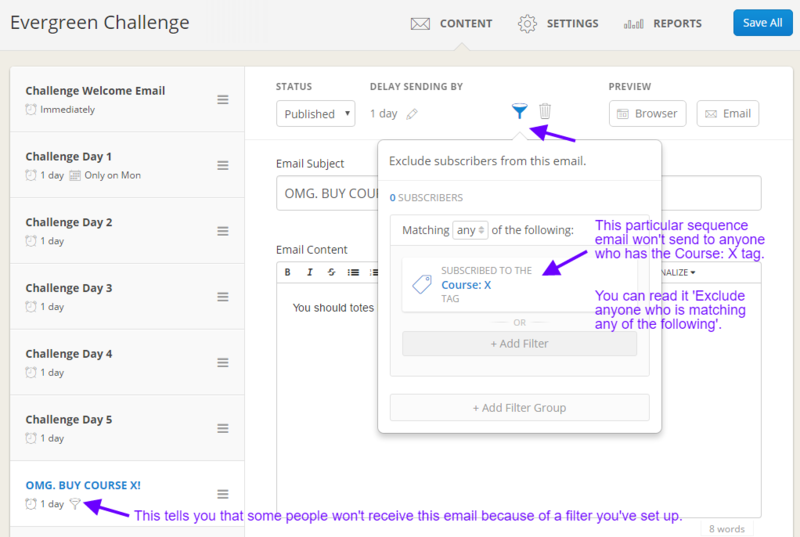 If you’re reading this, chances are you want to set up the tech/emails for your challenge in ConvertKit. I hope so – because that’s what this whole post is about! I’ve helped loads of clients set up both live and evergreen challenges in ConvertKit, and I’ve learnt a whole load of stuff along the way. If your challenge is one of your main opt-ins, you may want to consider setting it up so this sequence takes priority over all other sequences. In this blog post I talk about creating ‘In Sequence Segments’. Exclude this segment from receiving any other sequences. The effect is that as soon as they start this challenge they ‘pause’ in all other sequences, and then resume once they’ve finished this challenge. If your challenge is going to lead into selling something, as part of a funnel, you may want to consider using something like Deadline Funnel to truly make the offer time-limited in an evergreen setup. It integrates nicely with ConvertKit. You know the deal, you’re running a live 5 day challenge, with Facebook group support. It’s only happening that week. Now or never. This type of challenge you’re going to run predominantly through Broadcasts. 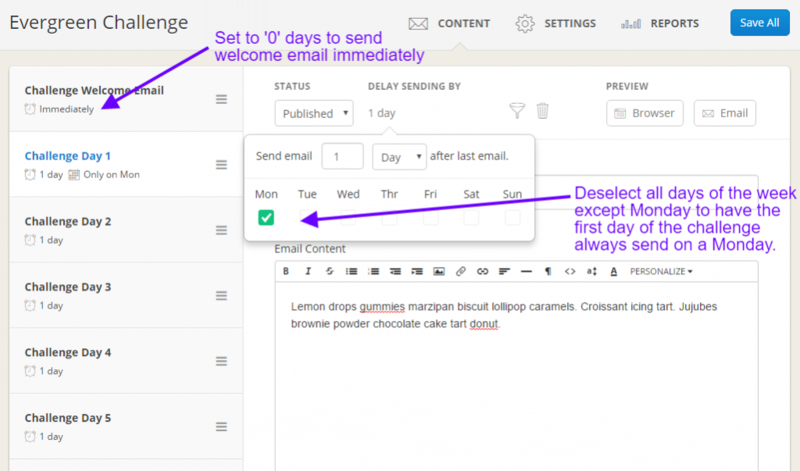 You create a form, create a one email sequence that sends immediately, create a tag – and then connect them all up with an automation rule. What goes in the one email sequence? Just some info about when the challenge starts, what it’s going to involve, join the Facebook group, invite your friends, that kinda thing. Each day of the challenge you then want to send/schedule a broadcast that you just send to the ‘Live Challenge’ tag. Then in the Day 2 email (and Day 3, and Day 4….) you want to put P.S. Missed Day 1? Click here to catch up. And you link to the Day 1 Broadcast. This is a combination of the two scenarios outlined above. First up you start as though it’s a live challenge. You create your form, your welcome email sequence and your tag, and you connect them up (like in Scenario 2). You send/schedule the live challenge emails as Broadcasts to the ‘Live Challenge’ tag. Immediately after sending the Day 1 email, you want to copy the content from the Day 1 email into the 2nd email of the welcome email sequence. Probably set the delay to 1 day, and publish it. You’re also going to want to tweak the copy in the first email in sequence because it’s now an evergreen challenge sequence. Change the name of the sequence to ‘Evergreen Challenge’. So anyone who signs up now is going to flow into the Evergreen Sequence (and not receive the live challenge broadcasts. The Live Challenge Welcome sequence has now become the Evergreen Challenge sequence. You also want to change the Live Challenge form to the Evergreen Challenge form. (And probably some of the copy that’s date specific). Instead of telling people to share the challenge on social media, I really love Social Link Generator so that they can share with one click. It’s also fun to do things like “Click to tweet that you’re doing the challenge!” and then you create link using Social Link Generator that tweets something like “I’m doing @marchingstars 5 Day ConvertKit Challenge – join me: https://elizabethgoddard.co.uk/ “. Click here to see a demo of that exact tweet! Pick a subject line for your challenge emails and be consistent with it! It makes it so much easier for people to keep track of what’s going on. e.g. 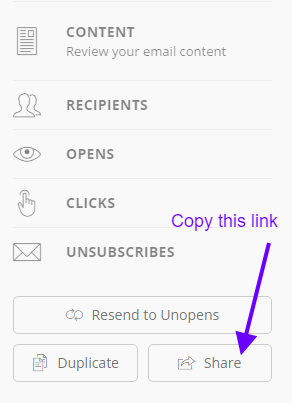 For both evergreen and live challenges you may want to consider setting up a specific email template with custom unsubscribe links at the bottom. If you’re doing an evergreen challenge, then the action in the automation rule is to unsubscribe them from the challenge sequence and remove the challenge tag. If you’re doing a live challenge, then the action in the automation rule is to remove the live challenge tag. If this challenge is one of your main opt-ins, then you want people to be able to unsubscribe/opt-out of the challenge, but not your entire list. Make sure you also tag them newsletter or they don’t fall into a black hole though! I’m probably going to think of extra things to say as soon as I hit publish on this, but hey ho. 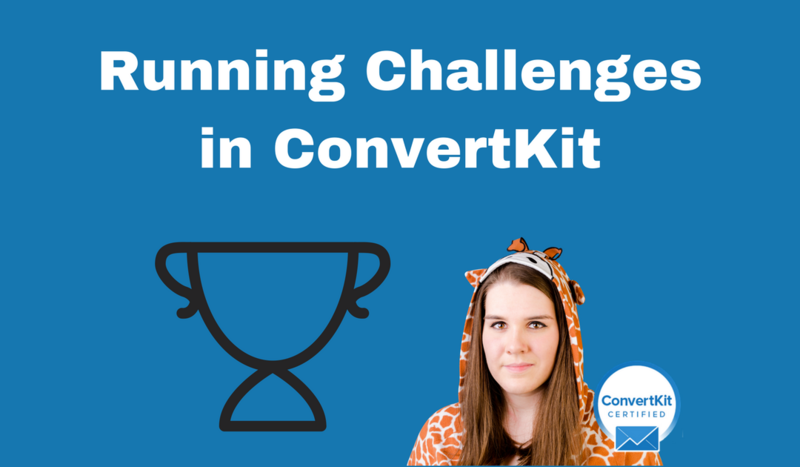 I’d love for you to share in the comments how you’re using ConvertKit to run your email challenges! Want someone to walk you through ConvertKit 1:1, or even better, just do it for you (including setting up fancy challenges and sequences)? Please feel free to contact me about my 1:1 ConvertKit services. OMG, thanks so much for this Elizabeth! I just ran a 5-day challenge and had people signing up during the challenge… I wish I’d found this article in time to do “Option 2” – now I know for next time!! loved this article, yea for convertkit! thanks for posting it, and i especially found the evergreen content to be useful.